This lovely Sunbonnet Sue applique pattern – Little Balloon Girl - is of a little girl in her apron and petticoats carrying 3 balloons. 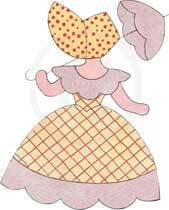 Check out our other Sunbonnet Sue patterns too! 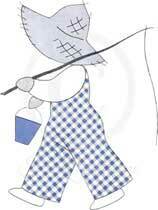 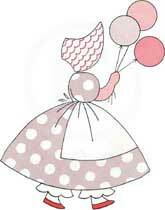 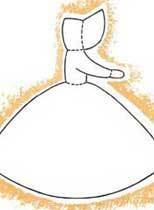 Click image to print the 5" block of the Little Balloon Girl - Sunbonnet Sue Applique Pattern.